Why will my designs not open? Most likely you have not selected the machine file type that you want to open. 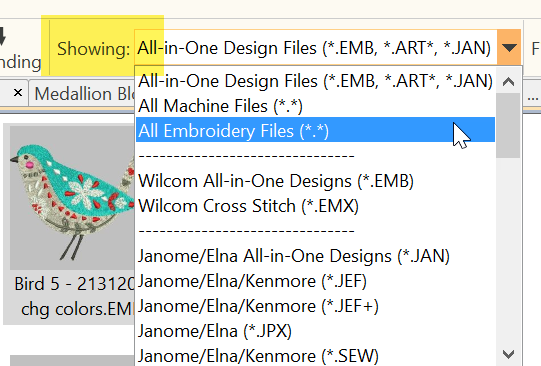 If you have multiple stitch types, you may want to select "all embroidery files" so that you can see all the designs at one time. If you are using Manage Designs, they will be listed as "Showing"